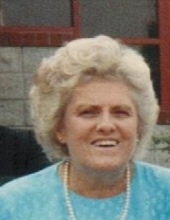 Ann F. Vansack, age 93, beloved wife of the late John; loving mother of John Edward; dear sister of Eugene (the late Joan) Klimek and the late Veronica (Herbert) Gabert, Stanley (Helen) Klimek, Walter (Constance) Klimek, Edward Klimek; dear aunt of many nieces and nephews. Funeral Monday 9:30 a.m. from Linhart Funeral Home, 6820 W. Cermak Road, Berwyn to Our Lady of the Mount Church. Mass 10:00 a.m. Interment Resurrection Cemetery. Visitation Sunday 3 to 8 p.m.
To send flowers or a remembrance gift to the family of Ann F. Vansack, please visit our Tribute Store. "Email Address" would like to share the life celebration of Ann F. Vansack. Click on the "link" to go to share a favorite memory or leave a condolence message for the family.